More than 700 lawsuits have been filed against Monsanto claiming that their popular weed-killer, ‘Roundup,’ is carcinogenic. The lawsuits bring attention to bogus studies and apparent collusion between Monsanto and the EPA, further damaging the credibility of the already embattled agency. RT America’s Manila Chan has the details. Then, Mike Papantonio, host of “America’s Lawyer,” joins “News with Ed” to offer his legal expertise and insights. “The actual number of violations and systems breaking the law is likely substantially higher because of probable widespread underreporting,” the authors of the study by the environmental advocacy group Natural Resources Defense Council (NRDC) say. 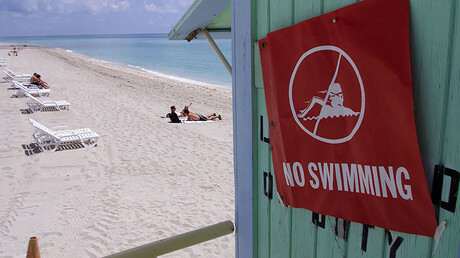 According to the research, entitled “Threats on Tap: Widespread Violations Highlight Need for Investment in Water Infrastructure and Protections,” violations were reported in all 50 states in 2015, including the District of Columbia, Puerto Rico, and other territories covered by the Safe Drinking Water Act (SDWA). The top five states with SDWA violations by population proved to be Texas, Florida, Pennsylvania, New Jersey, and Georgia. Texas saw the lion’s share of health-based violations, affecting more than 4.9 million people. Puerto Rico came in second, with more than 2.4 million, followed by Ohio, Maryland, and Kentucky. When ranked by percentage of total population served, Puerto Rico had “the highest percentage of any state or territory, with 69.4 percent of its population served by community water systems with health-based SDWA violations,” according to the study. Meanwhile, very small systems, found in rural or sparsely-populated areas, account for more than half of all health-based violations, researchers said. “Systems serving less than 500 people accounted for nearly 70 percent of all violations and a little over half of all health-based violations. This means that rural Americans could be at greatest risk from some drinking water contaminants,” the report warned. “America is facing a nationwide drinking water crisis that goes well beyond lead contamination,” Health Program Director at NRDC and report co-author Erik Olson said in a statement. “The problem is twofold: there’s no cop on the beat enforcing our drinking water laws, and we’re living on borrowed time with our ancient, deteriorating water infrastructure. We take it for granted that when we turn on our kitchen tap, the water will be safe and healthy, but we have a long way to go before that is reality across our country,” he added. Researchers cited data from the Centers for Disease Control and Prevention (CDC), according to which approximately 19.5 million Americans fall ill every year from pathogens as a result of contaminated drinking water from public water systems. Meanwhile, repercussions for violations are “virtually nonexistent,” the study said. According to the Environmental Protection Agency’s (EPA) Safe Drinking Water Information System (SDWIS) data, of over 80,000 reported violations that occurred in 2015, the agency and states took formal enforcement action against a mere 13.1 percent. “Agencies took formal enforcement actions against 21.2 percent of health-based violations. Furthermore, penalties (either criminal punishment or civil fines) were sought or assessed for only a tiny fraction (6.7 percent) of violations,” the report revealed. Meanwhile, President Donald Trump allegedly proposed slashing the agency’s funding by 31 percent, including cuts to scientific programs, the Washington Post reported in March, citing a leaked memo. Reductions in research funds will roll back programs on climate change, water quality, and chemical safety, as well “safe and sustainable water resources,” the document said, as cited by the newspaper. Michigan has been at the center of a public health crisis since 2015, when tests found high amounts of lead in blood samples taken from children in Flint. In late April 2014, after at least a year of deliberation and negotiation, Flint officials and its state-mandated emergency manager switched the city’s drinking water supply to the Flint River. Residents soon complained of the water’s odd tastes, smells and coloring while officials repeatedly told them the water was safe to ingest. The situation became a full-blown crisis when, during the summer of 2015, rising levels of lead were being detected in children’s blood. It was later determined that the Flint River water was not being treated properly, and that lead from aging water pipes was bleeding into the water supply. Is the day we’ve all been waiting for finally on the horizon? Monsanto and the EPA have been caught red-handed in the midst of a legal controversy. 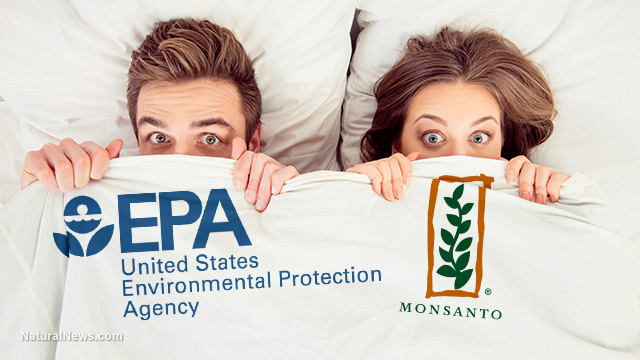 Unsealed court documents have shown that not only is the EPA severely lacking in the standards department, but that the federal agency colluded with one of the nation’s most menacing companies, Monsanto. And in doing so, the EPA helped to keep Monsanto’s star product, Roundup, on store shelves and safe from being reviewed for its cancer-causing effects. Of course, such tactics only ultimately serve corporations like Mon(ster)santo, which like to wallow in the muck of immorality, poorly. All the sneaking around, buying off this scientist or that scientist, padding the wallets of a politician or two, fighting this GMO or that GMO labeling law, hauling farmers into court, does not do anything positive for what little image they have left. To this end, we have a modest proposal for Mon(ster)santo, I.G. Farbensanto, DuPontsanto, and all the other agribusiness giants: why not take a page out of Big Pharma’s playbook, and simply throw aside all pretense? Why not buy off enough politicians to pass laws mandating that people eat nothing but GMOs: people would have to save their labels and grocery receipts, and present them to the public schools in order for their children to be allowed to attend. Getting together with Big Pharma on this could do you a lot of good, for you could combine your GMO crud with vaccine crud, and have the “food-like substances” you purvey become the vaccine, and that way, you could never be sued by anyone under current laws. Or, you could just buy off enough politicians and pass laws making it impossible for anyone to sue you who comes down with something due to eating GMOs, no matter what independent science studies say. Our advice is: Start in the one-party socialist republic of Nuttyfornia, buy off a few very corrupt and kookoo politicians in the San Franfreakshow-Bay area (they have lots of them there) and the Hell-A area (they have lots there too), send some donations to Senator McInsane’s and Senator Graham Cracker’s next campaigns by way of Saudi Arabia, and that will get the job done. It would be a bi-partisan effort. And don’t forget to blame Vladimir Putin for all the anti-GMO hysteria and for hacking the contradictory science. The issue here is, who is going to decide whether the people of New Zealand are fluoridated? Who will be in charge? Communities, or the federal government? My further comments: right now, only 27 territories (out of a total of 67) in New Zealand have decided to fluoridate their water supplies. The majority of territories understand the toxicity of fluorides. The federal government wants to take over and fluoridate everybody. The feds consider anti-fluoride activists the enemy and bunch of crazies. I also suspect that money is an issue. Somebody close to the federal government is poised to make large profits from selling the chemicals, when the government decides the whole population should be toxified. For the edification of New Zealand’s feds, who believe “the science is settled” and opposing activists are anti-science, here is a famous bombshell letter, written by the head of the US EPA (Environmental Protection Agency) union of in-house scientists, William Hirzy. That last sentence lets you know where the fluorides are coming from. So…an employees’ union of scientists within the EPA has made its position clear. The mainstream press has refused to cover this story in any significant way for 17 years. The federal government of New Zealand doesn’t care about any of this. They just want to give the gift of poison to whole population of the country, and call it science. Story #3: Need a Pothole Fixed? Maybe a Portland Anarchist Can Help! Fluoride is an ubiquitous chemical that has penetrated public water supplies across the United States. 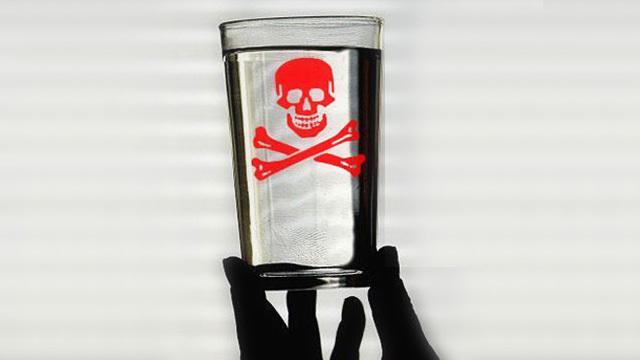 The CDC reports that about two-thirds of the population has fluoridated public water. And for those of us served by community water systems, that number climbs up to about 74 percent. Historically, fluoride been added to water in the name of preventing tooth decay and cavities. However, it is now widely known that fluoride is not an essential nutrient in any sense, and therefore is not actually necessary to keep teeth healthy. While proponents of fluoride continue to say that it is “safe and effective,” detractors of fluoride say that there are several substantial issues with the substance’s addition to public water. And finally enough people have woken up to the dangers of fluoride to begin putting pressure on the EPA to put a halt to this controversial practice. A coalition of environmental, medical, and health groups, along with Fluoride Action Network, are urging the EPA to end fluoridation of the public water supply. The coalition has presented the EPA with a petition, featuring some 2,500 pages of scientific documentation of fluoride’s ill effects on human health. Beyond the negative health effects of fluoride, there is also a rather concerning, almost “Big Brother-esque” feel to public water fluoridation. The concept of the government practicing mass medication on the majority of the U.S. population is quite frightening, if you stop to think about. There is no way to obtain consent from every individual when it’s in the water supply and often, no way of escaping it. Furthermore, putting fluoride in the water prevents controlled dosage. Some people drink more than others, and there are plenty of other avenues of exposure besides water. The EPA could put an end to mass fluoridation of the U.S. population, through the Toxic Substances Control Act (TSCA), which grants them the ability to forbid the use of a chemical that puts public health at risk. Fluoride certainly fits the bill — the petition notes that the EPA’s own guidelines would encourage fluoride prohibition. The EPA has reportedly requested that the National Resource Council (NRC) review the data. Back in 2006, the NRC concluded that fluoride can indeed inhibit brain function. Research published in the journal Lancet Neurology has even confirmed that fluoride is one of 12 substances known to cause developmental neurotoxicity. And in 2012, Harvard scientists concluded that children exposed to fluoridated drinking water had lower IQs. Another pitfall of water fluoridation is the development of dental fluorosis. Mild fluorosis is characterized by white streaks on the teeth, while more severe cases feature brown stains, pitting, and broken enamel. This is the stuff they are putting in the water supposedly to protect teeth — and yet, it actually destroys them. The CDC reported in 2010 that 41 percent of children between the ages of 12 and 15 had some form of dental fluorosis. That alone should be enough to tell you (and the EPA) that fluoride doesn’t belong in the water supply. Will the EPA finally be compelled to do their jobs and ban water fluoridation? Who knows.